Palatial chateaus, ordinary suburban homes, skyscraper residences and vertical slums alike have been abandoned by their human inhabitants and given over to rot and ruin. 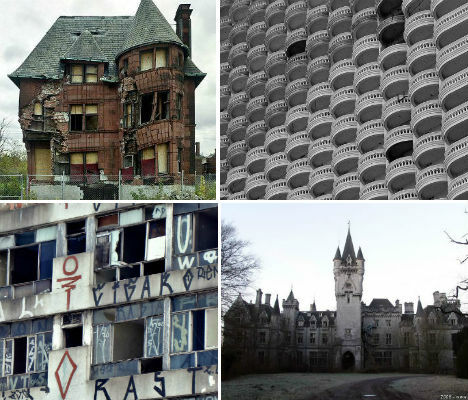 Whether they represent once-opulent refuges for the rich or some of the most shocking conditions of abject poverty in the world, these 7 ghostly abandoned wonders of residential architecture are deliciously creepy and strangely beautiful, if a bit sad. Officially named Chateau Miranda, this neogothic castle was built in 1866 by an English architect who passed away before it was completed. It served as a summer residence for a wealthy family until it was commandeered by Nazis during World War II. 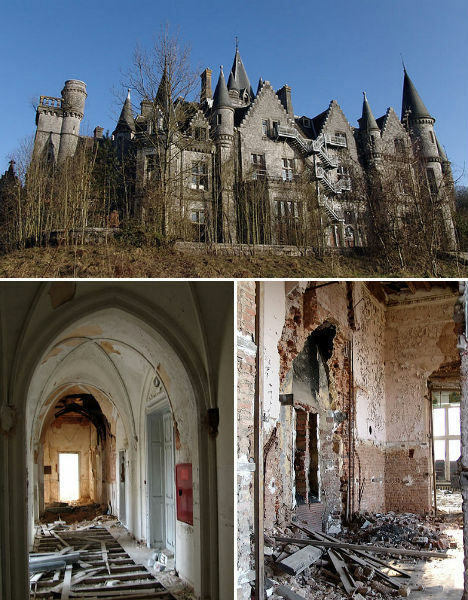 For decades afterward, Chateau Miranda operated as a hotel and accommodation for children of Belgian road employees, but in 1991, a fire led to its abandonment. Since then, it has been given over to decay. 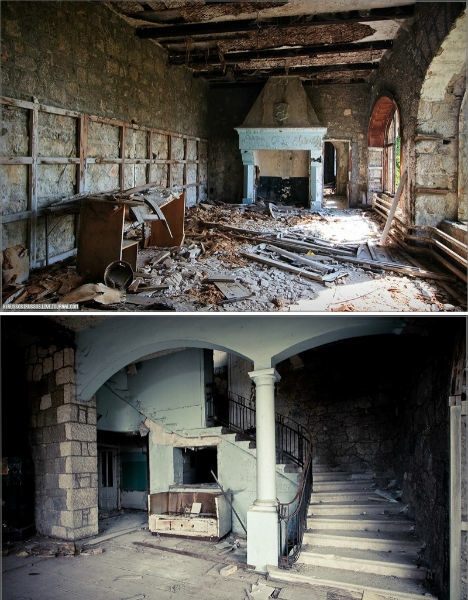 Touring the dilapidated chateau is fairly dangerous, as most of the upper floors have decayed and fallen through. It’s a shame to see something that was once so beautiful fall into ruin. 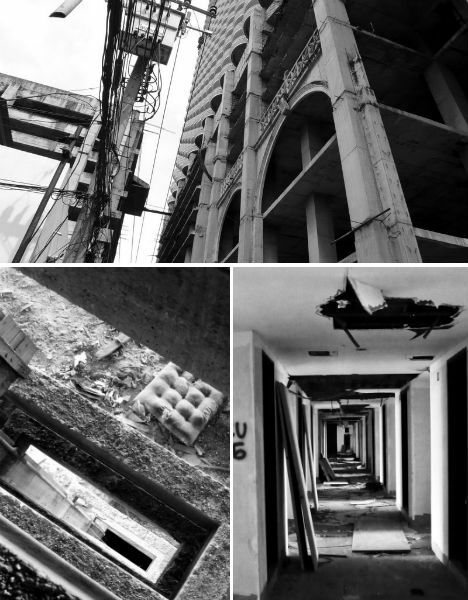 Urban explorers give a firsthand account of sneaking in and taking some beautiful photos of the interior at TalkUrbex.com. 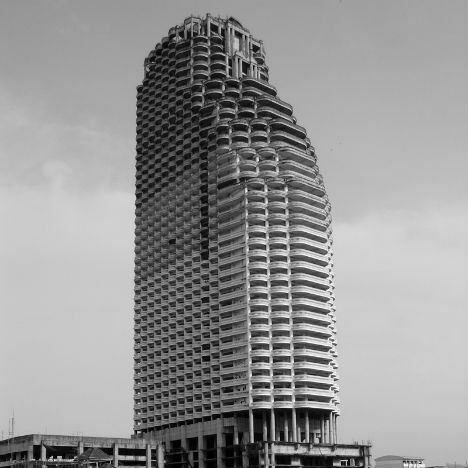 The 47-story Sathorn Unique Tower was supposed to be a well-appointed modern residence for well-to-do citizens of Bangkok, Thailand. Now, it’s a ghost tower, standing eerily empty and silent against the skyline of the city, its concrete surfaces already stained and rusted. 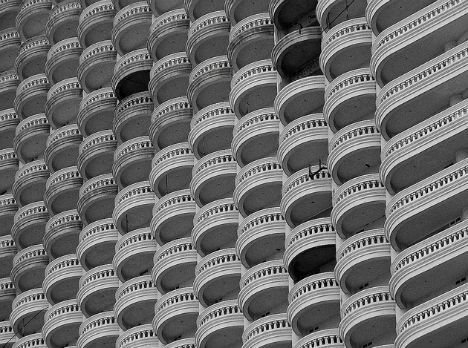 Developers built this and many other skyscrapers in Bangkok during an economic boom, but fortunes fell, the developers went bankrupt, and the buildings stand empty. During storms, debris from the structures rain down upon the streets below. Inside, it’s virtually pitch black, and exposed metal pipes and frames should make explorers wonder when they last had a tetanus shot. At the top, however, it’s easy to see why this would have become one of the city’s most prestigious addresses. 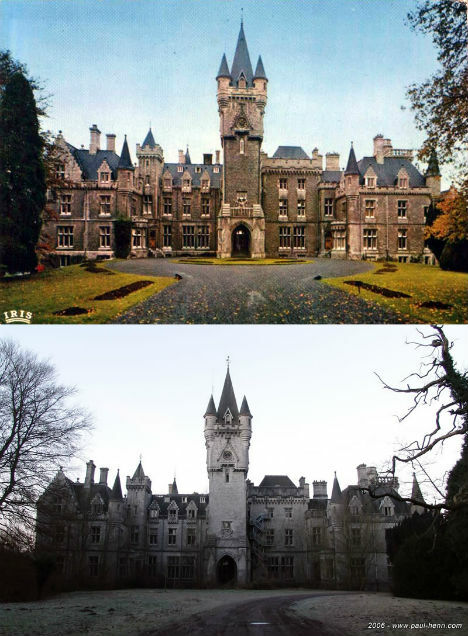 Perhaps abandoned mansions, castles and chateaus are so fascinating because it’s difficult for many of us to understand how something that cost so much money could be allowed to decay. Someone went through the trouble of designing the home, choosing decorative elements and purchasing fine fixtures, only for them to be ruined far before they should have. 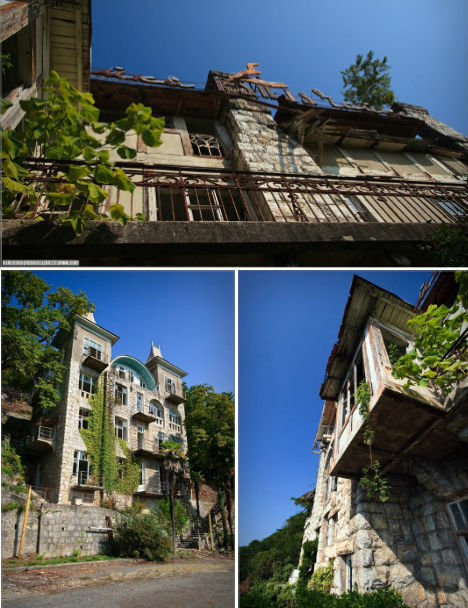 This Russian prince’s house located on the Black Sea in Abkhazia is one example. Overlooking what was known to upper-class Russians as the ‘Russian Riviera’, the castle is nearly 200 years old. But, like many things, it lost its grandeur during the Soviet era. It was converted to the Hotel Seagull on Stalin’s orders, a summer residence for male government officials from Moscow. Once the Soviet Union collapsed, it was abandoned; with the nation of Georgia so often at war, restoring it is not exactly a high priority. 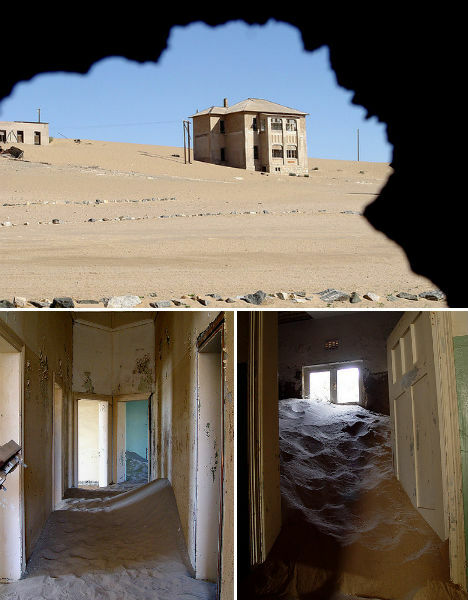 Among the most surreal abandonments is the old diamond mining town of Kolmanskop in Namibia. This ghost town was once a small but very rich village, filled with German miners who were attracted by the potential for quick and easy wealth. It’s built in a German architectural style. 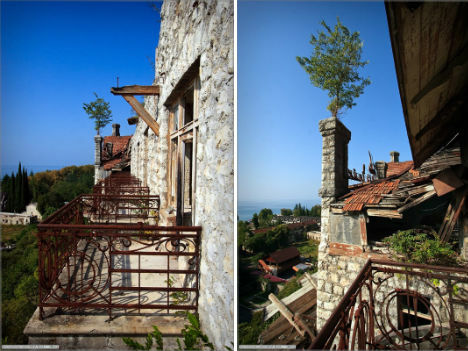 The town declined after World War I, and was abandoned altogether in 1954. 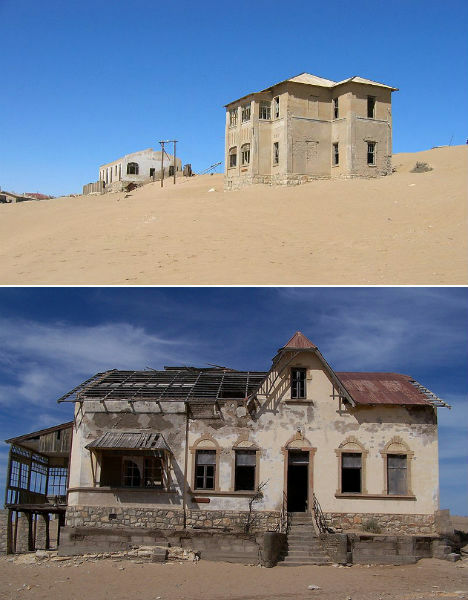 The most interesting thing about Kolmanskop is the fact that its homes, hospital, ballroom, school and other buildings are now filled with sand, making it seem as if they’re sinking. The hot, windy desert climate blows sand in through the windows and doors.